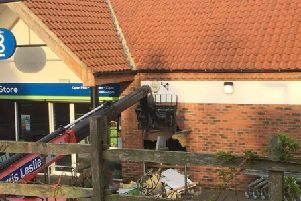 Lincolnshire Police are appealing for information after a break-in this morning (Wednesday) at a Market Rasen car dealership. According to police, Duckworth Land Rover, in Willingham Road, was broken into at 2.15am today (Wednesday, February 7). Police confirmed that an orange Land Rover bicycle and computer monitor were stolen. Anyone with information is asked to call 101, quoting incident 9 of February 7. You can also report anonymously through Crimestoppers.